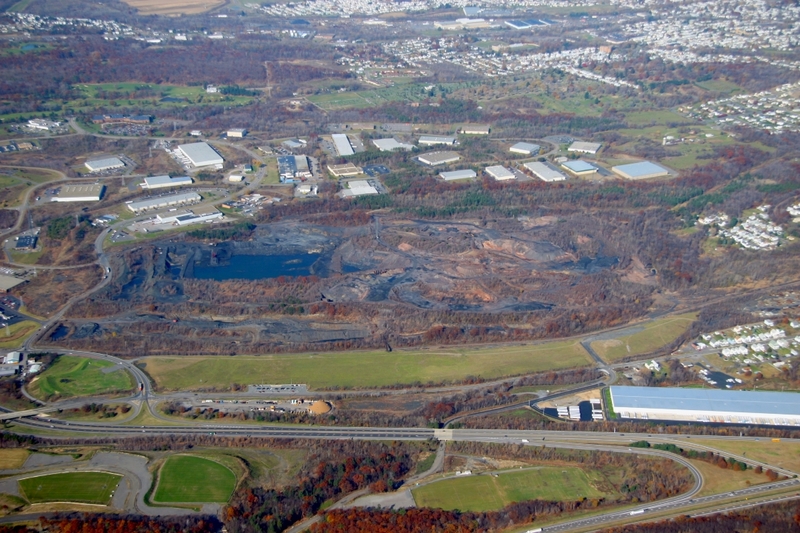 Aerial view of the reclaimed Huber IV and Huber III sites. Huber IV’s proximity to S.R. 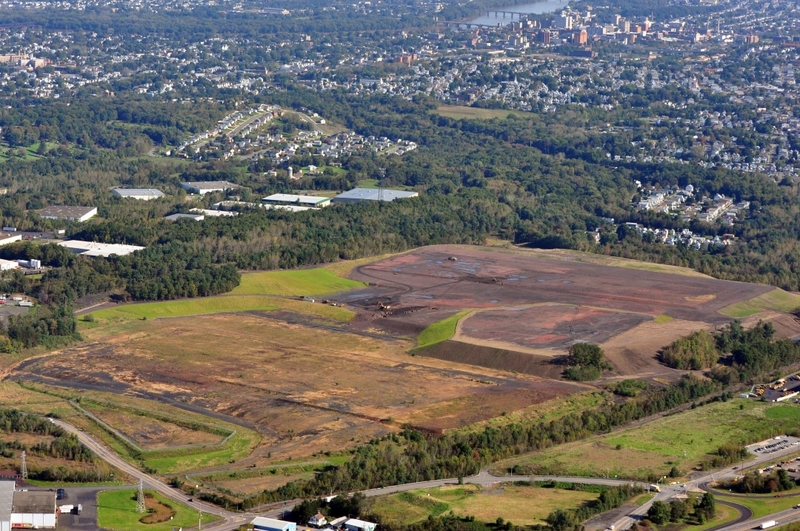 29 and I-81, as well as its location at one the Hanover Industrial Estates’ entrances, made its reclamation a priority for Earth Conservancy. It also sits adjacent to Huber III, an 87-acre parcel that EC already had reclaimed. 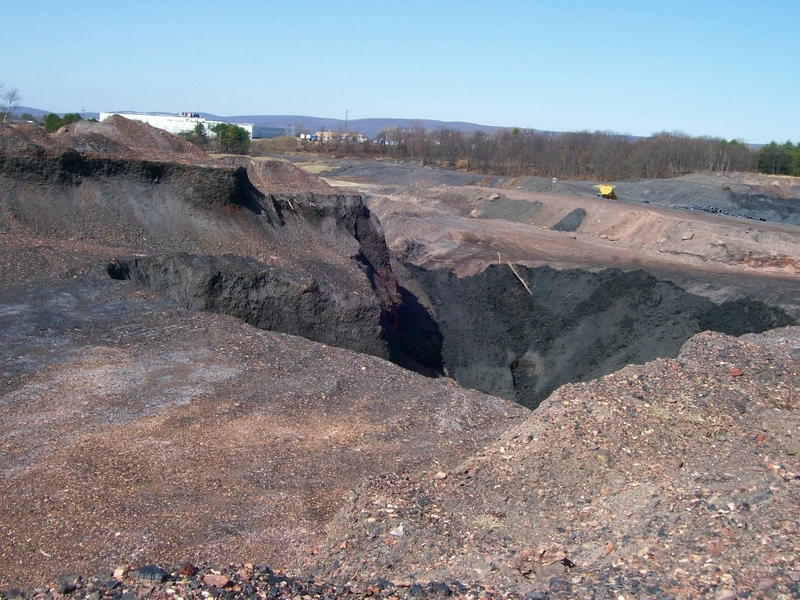 With the completion of Huber IV, EC completed the reclamation of approximately 270 acres of abandoned mine lands clustered around Exit #1 of S.R. 29. Other projects included Huber I, Huber II, and Huber III; the Sugar Notch residential area; and the Preston Bank. Hubers III and IV were sold in 2014 for development. Funding for this project was provided by the Pennsylvania Department of Community and Economic Development and Earth Conservancy. 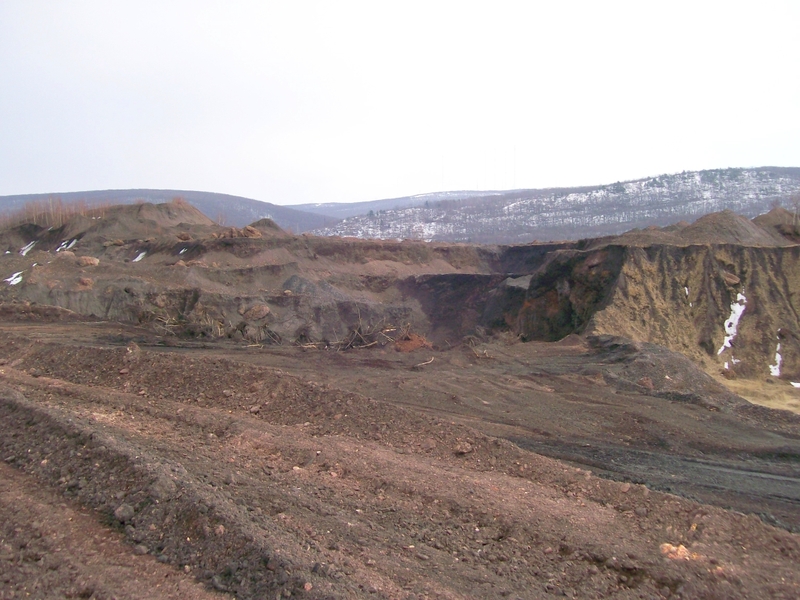 Aerial view of the mine-scarred land at the Huber site, prior to reclamation. Behind the site is the Hanover Industrial Estates. 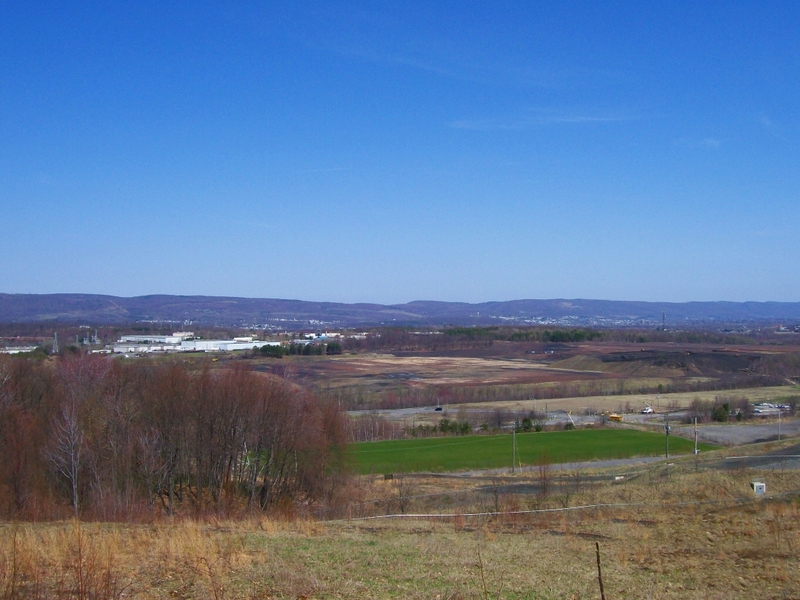 In the foreground is the Greater Hanover Area Recreation Park. Huber I and Huber II, both reclaimed, are immediately in front of Huber III/Huber IV. 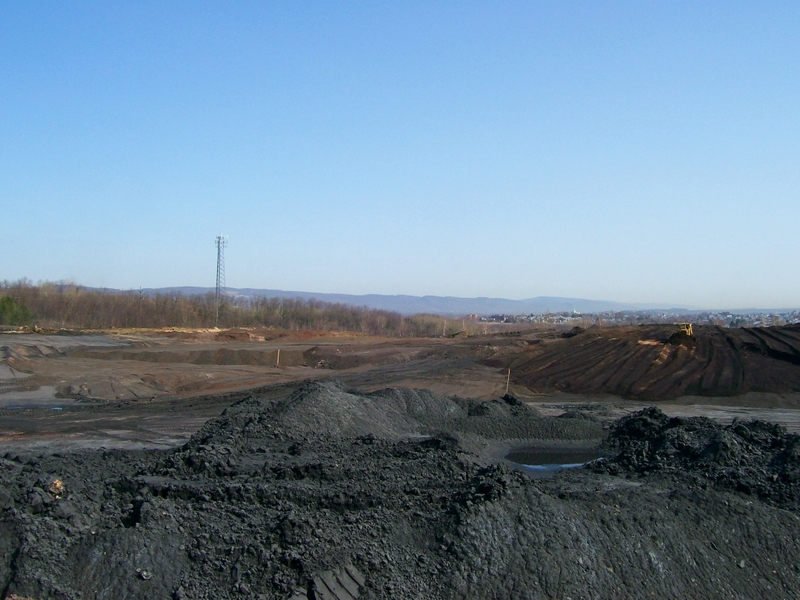 On site at Huber IV, with its massive piles of culm, or mining waste. Excavation also left sheer cliffs of material across the site. 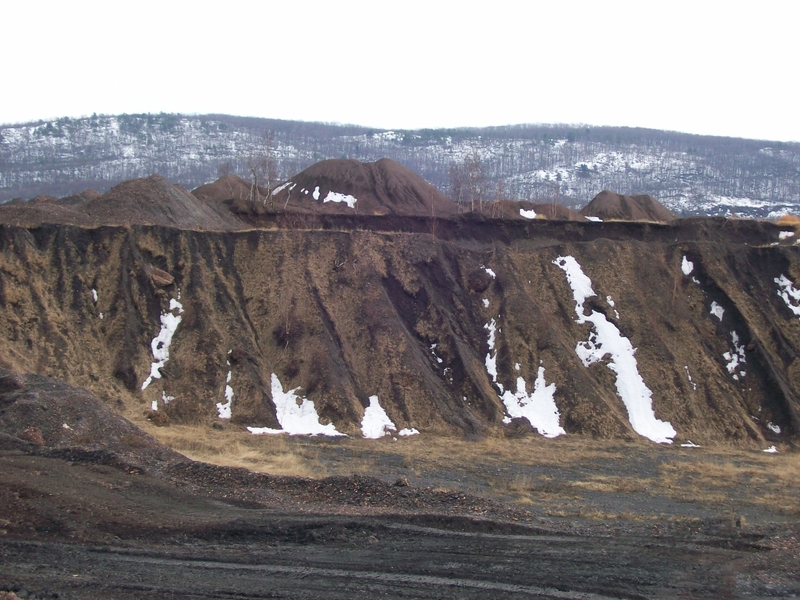 There were also deep pits, prone to instability and erosion. 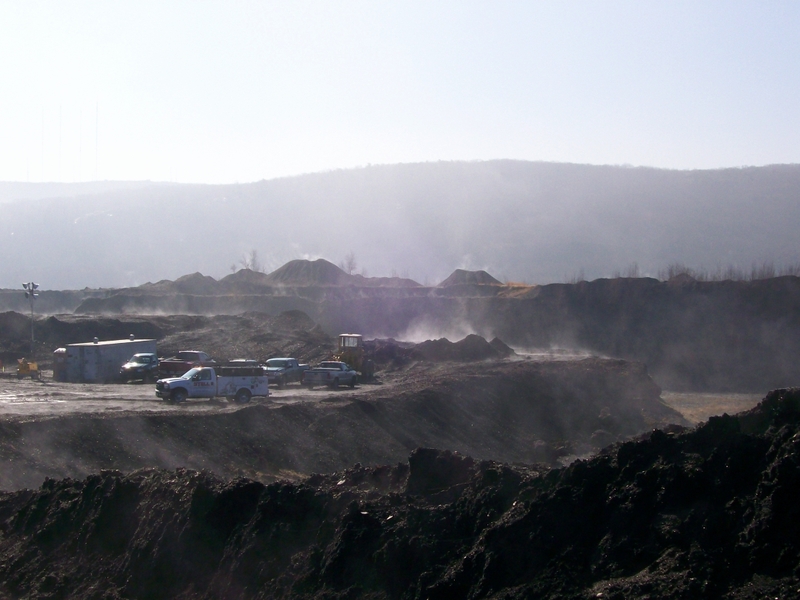 Additionally, as water would fill the pits, it would seep deep into the piles and the underground mine workings, contributing to AMD. Work begins on the Huber IV project. A lone bulldozer at work on moving the mounds of mine spoils. 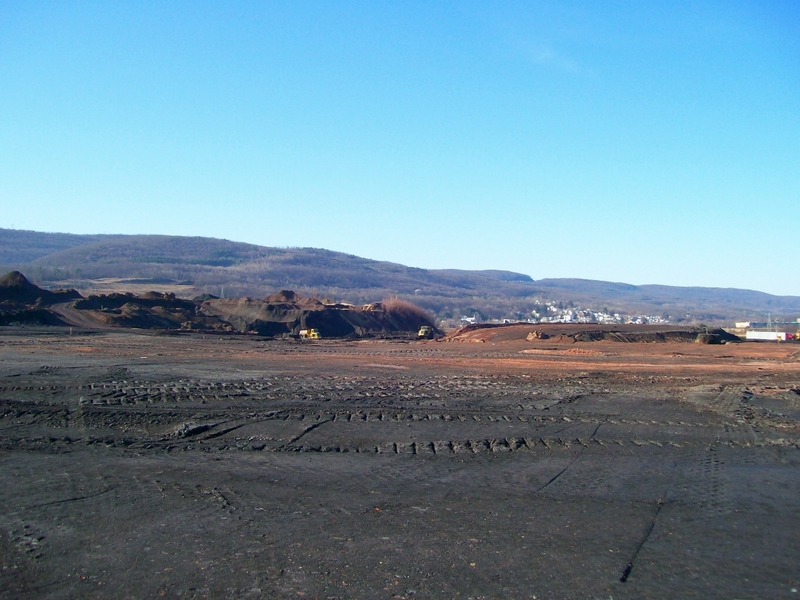 View of a graded section of the Huber IV site. 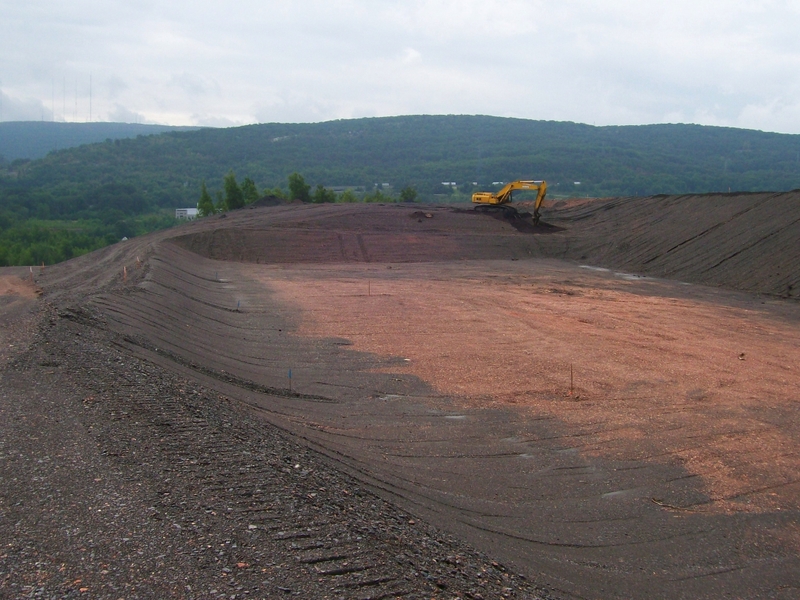 Grading of the Huber IV site continues. The same section of Huber IV as in preceding photo, after seeding. 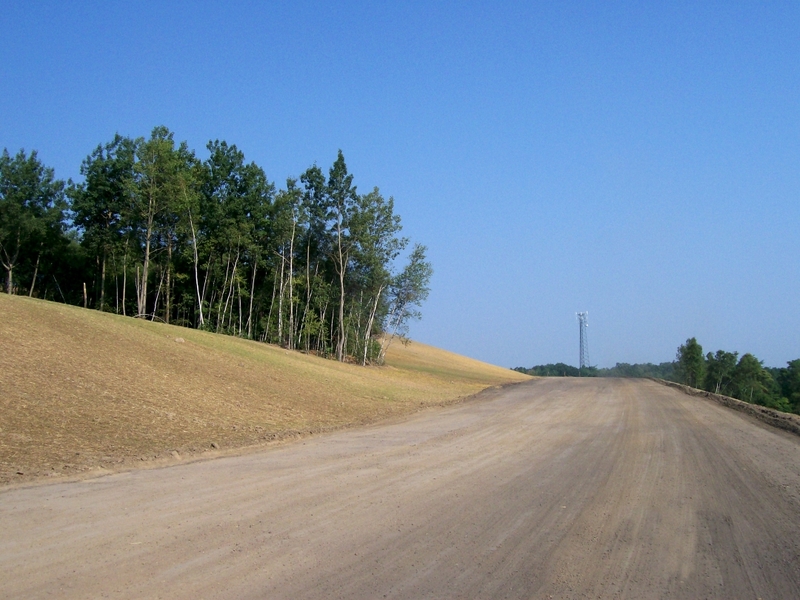 Dirt roadway leading up to the reclaimed Huber IV parcel. 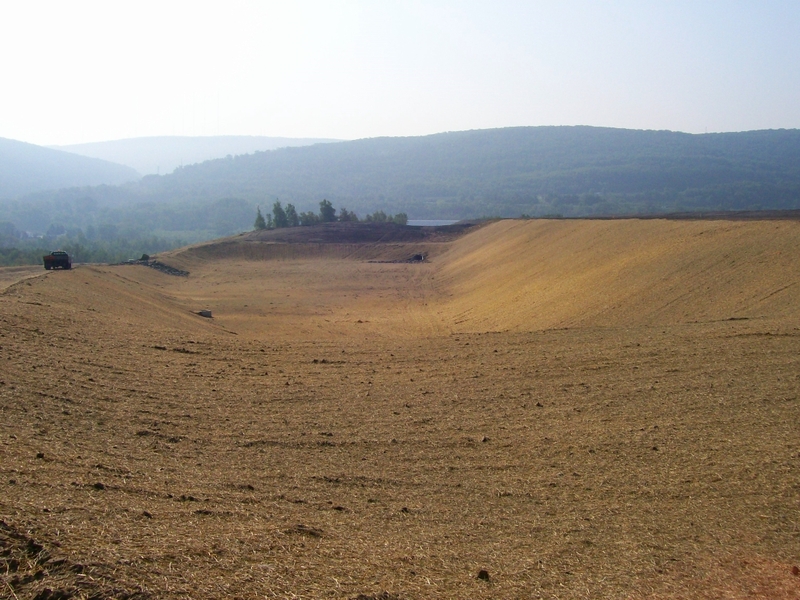 After initial vegetation took hold, EC planted trees on the site to reduce erosion and continue environmental improvement. Looking down on Hubers III and IV from Sugar Notch. 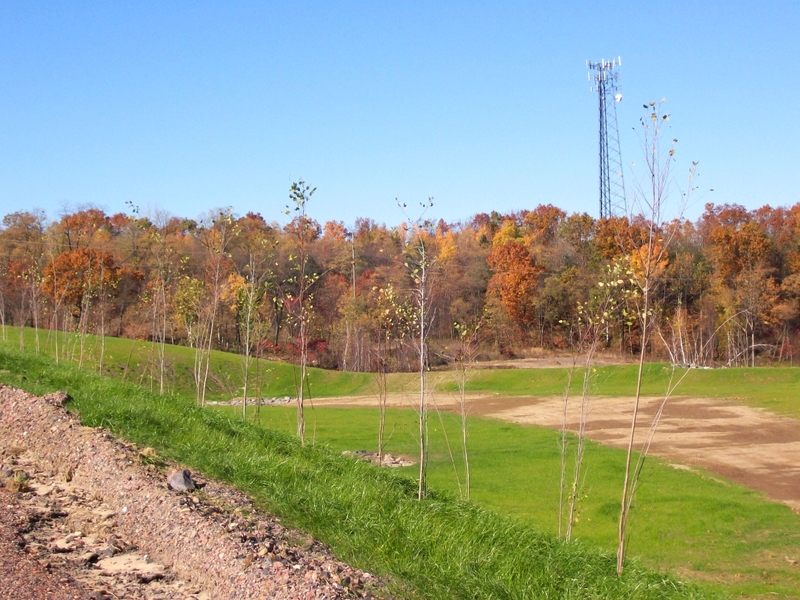 In the foreground is the Greater Hanover Area Recreational Park, another project of Earth Conservancy’s.